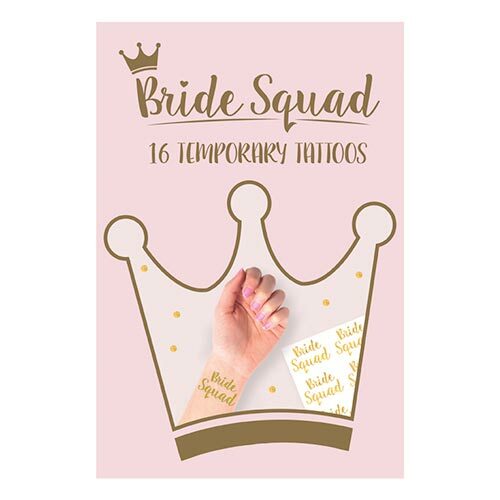 When you think about ways to get the girls to bond, to become a group rather than a collection of individuals and a way to get some real, team spirit going on, matching tattoos is pretty much the top of the list. This pack of 16 matching gold Bride Squad temporary tattoos is a sure way to get all of he girls in the party spirit and they're great value too. 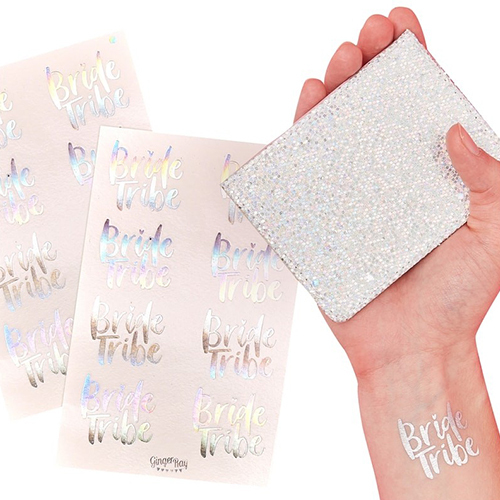 Each tattoo is around 4cm long and 3cm high, so they're not too garish, they're quite subtle. 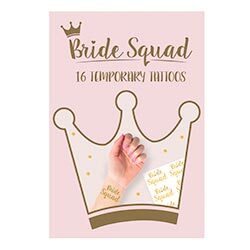 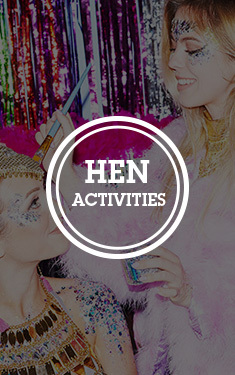 These are part of the Bride Squad collection which also includes sashes, shot glasses and photo props among other things so you can really get a great hen party theme going on.